Not really a problem, more of a cosmetic requirement. 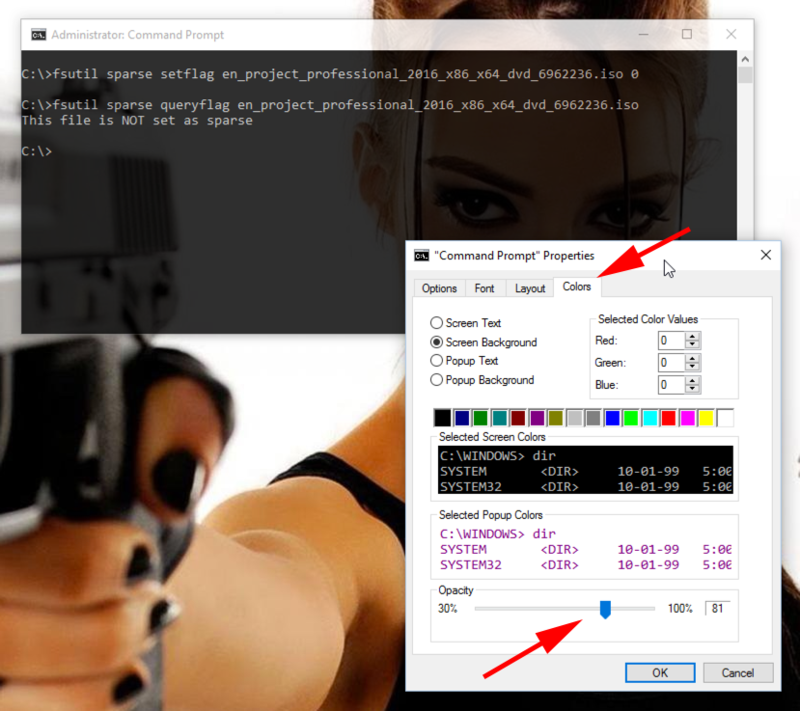 With Windows 10 you have the option to set your command windows as ‘transparent’ by adjusting their opacity. 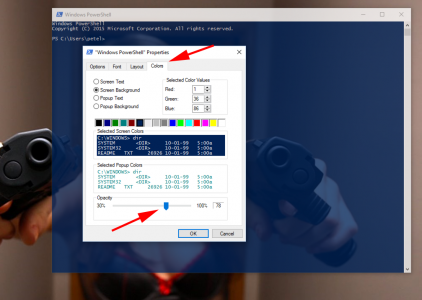 With a command window open right click the title bar of the windows and select properties > Colours > Adjust the slider. You can also do the same with the PowerShell window.